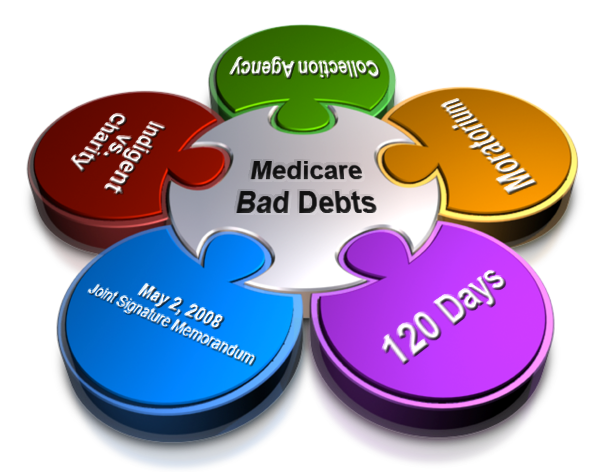 Medicare Bad Debts (MBD). Recent changes and “clarifications” to Medicare program policies have caused many hospitals to take a closer look at their Medicare bad debts policies and procedures. We have an effective process of identifying Medicare bad debts reimbursement by focusing on identification and categorization of delinquent accounts, technology, and reporting issues that may lead to repressed capture of Medicare bad debt reimbursement. • Are you claiming less than your peer hospitals? • Are you claiming less than 5% of your Medicare deductibles and coinsurance? • Have you had Medicare Bad Debt audit adjustments in the last three years? Through our unique Medicare Bad Debt process, Becht Advisory Group was able to identify, collect, and document over $8M worth of additional Medicare reimbursement for an 800 bed Academic Medical Center. Disproportionate Share Hospital (DSH). Many hospitals meet qualifying criteria under the definition of a Disproportionate Share Hospital to receive additional reimbursements. This is due to their treating an increased number of Medicaid patients in comparison to other hospitals. We have an effective process of determining Medicaid eligible day counts to calculate DSH payments. Many times, because of our process, we are able to provide our clients with an enhanced DSH payment. In addition, we assist our clients with the audit process related to the DSH project. • Are you close to the qualifying threshold for DSH? How about for 340B? • Are you currently performing DSH analyses in-house? • Are your annual DSH payments greater than $5M? Our process increased DSH reimbursement by $11M over 5 years for a 7 hospital system. Third Party Reimbursement Strategies. Managed properly, the Reimbursement Department can be an integral constituent in monitoring the revenue stream. This includes identifying and resolving payment and compliance issues, providing decision support, managing the payor contracting process, budgeting, forecasting, coordinating regulatory reporting and appeals, and obtaining, tracking, and monitoring optimal reimbursement. As in any organization, strengths and weaknesses do exist – whether they be known or unknown – we can assist you in evaluating these areas. Becht Advisory Group can also assist in developing keep, toss, change strategies as well as implementation plans. In several instances, Becht Advisory Group has identified strategies to allow providers to meet 340B threshold requirements allowing the hospital to experience $2M+ in drug cost savings. Cost Report Review and Optimization Studies. Just as we are able to evaluate differing functions of the Reimbursement Department with our Third Party Reimbursement Strategies, we have experience in reviewing cost reports for possible errors, omissions, and areas that may have traditionally been neglected from a reimbursement perspective. As our review progresses, we will discuss our findings and recommendations with you. An example of our success here is component depreciation studies for new hospitals. At least two of our clients have increased their capital reimbursement by more than $3M. Provider-Based Designation. With integrated health systems becoming more and more common and stand-alone hospitals less common, organizations may choose to evaluate whether they meet the qualifying criteria for Provider-Based status under the Medicare guidelines. 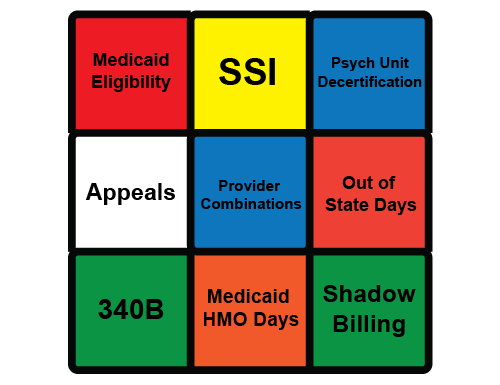 Because there are quite a few inter-related rules; we can assist you with analyzing potential advantages and disadvantages, identifying areas of change and needed remediation solutions, and necessary documentation and filings to achieve the Provider-Based status. Our approach to the project would include on-campus facilities, off-campus facilities, joint ventures, other ventures where management contracts are in place, and in some cases analyzing provider-based billing processes and claims. • Do you have one or more off-campus facilities? • Do you employ a large number of physicians? We introduced and assisted with Provider Based implementation resulting in an increase of Medicare reimbursement of several millions for a health system in Central Va.
Post-Acute Care Transfers (PACT). The implementation and expansion of the Medicare Post- Acute Transfer payment policy has resulted in underpayments to some hospitals. Becht Advisory Group can assist you in determining if you are one of these hospitals through data analyses that confirm whether post acute care services for transferring patients were provided, what the financial impact is, and improving operational processes to reduce future underpayments on a go forward basis. • What is your process for documenting when a patient is transferred? • Have you analyzed your post acute care transfers payments? • Are you currently analyzing PACT reimbursement in-house? Our experience indicates that most hospitals have an opportunity for PACT ranging from $2-4M per year depending on size and services offered. Wage Index, Occupational Mix, and Geographic Reclassification. Wage Index is another area of reimbursement where application and interpretation of rules and guidelines is important for optimizing your reimbursement. We can help you with navigating these rules as well as evaluating your hospital’s eligibility for being alternatively grouped (reclassified) to other core based statistical areas (CBSA). We have experience with responding to audit adjustments proposed by the fiscal intermediaries and effecting process remediation. • What is the trend with your Wage Index factor? • Have you had significant Wage Index audit adjustments? • Are you currently analyzing Wage Index reimbursement in-house? We were engaged by a large CBSA to review the participating hospitals’ wage information; our analysis resulted in an increase of over $8M to the hospitals in the CBSA. Graduate Medical Education. The regulations for graduate medical education reimbursement are complex and changeful in law and interpretation. Becht Advisory Group can assist you in navigating such areas as: non-provider site rotations, didactic time, bed counts, affiliations for the full-time equivalent (FTE) cap, etc. • Are you a teaching hospital or academic medical center that is under the Medicare full-time equivalency cap? • Have you had significant medical education related audit adjustments? • Are you currently analyzing medical education reimbursement in-house? An example of our services include assistant to an Academic Medical Center in overturning Medicare fiscal intermediary adjustments of 89 interns and residents; this resulted in saved reimbursement of approximately $4.4M. Any questions about Becht Advisory Group?